Roast potatoes are an English classic, but these have that Italian flavour no one can resist. 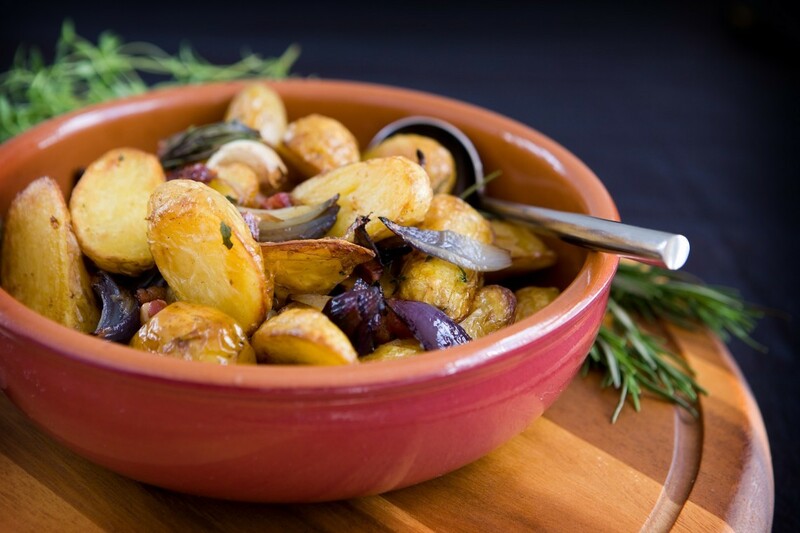 For a deliciously warming dish on a cool autumn day these new potatoes are great roasted in a little olive oil. Herbs, garlic and onion add an Italian twist, and for extra flavour you could try adding some cubed pancetta half way through cooking. 1Preheat the oven to 200°C / Fan 180°C / Gas 6. 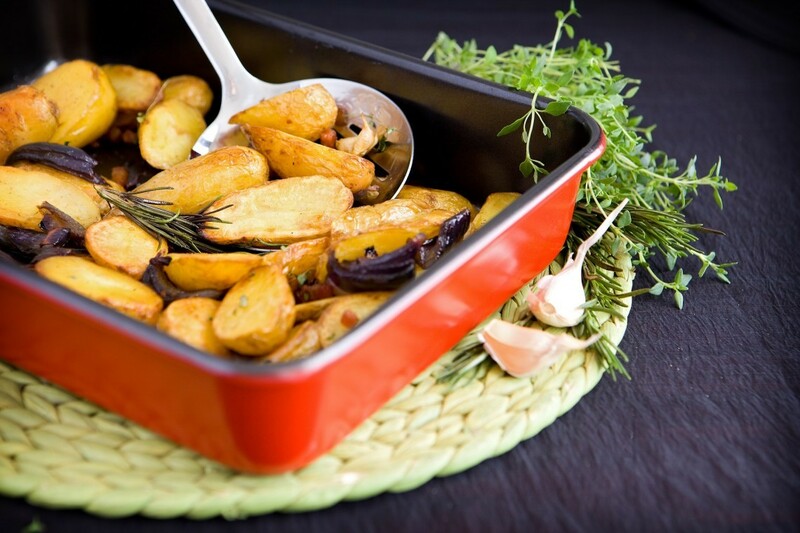 2Wash the potatoes and cut in half lengthways, then add them to the rest of the ingredients in a deep roasting tin. 3Mix well and roast for around 30 minutes, turning occasionally until the potatoes are cooked through and golden. Season to taste and serve. This spicy potato curry makes an ideal accompaniment to an Indian meal. Use a firm variety like Desiree so that the potato holds its shape while cooking. For a change you could also try adding some cooked cauliflower or shredded spinach in the last few minutes of cooking.